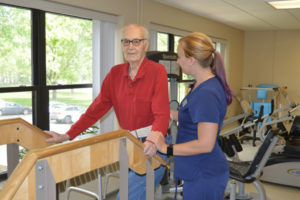 Select the level of care that is right for you or your loved one. Let us guide you along the way. walk our beautiful grounds, or plan your own day with friends. My father was a resident for 6+ years. Dad loved it! 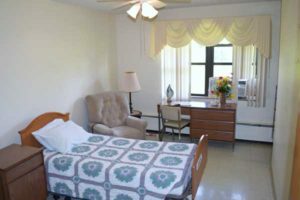 Our Lady of Angels staff are very insightful and very service mindful of residents needs of care and social activities. I highly recommend for myself and others. As soon as Lil arrived, everyone at OLA was so wonderful to her. 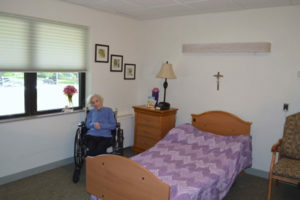 Lil loved singing while Margaret Benoit played the piano and playing instruments during Sister Odelia’s music therapy. Lillian also enjoyed attending mass regularly in OLA’s chapel. I knew OLA would be the perfect fit, providing the best care for my sister-in-law. 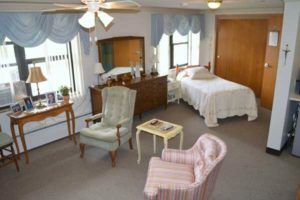 My mom lived on 1st floor for 3 years, moved to skilled nursing and then transitioned into OLA’s Joliet Hospice care for her last three weeks. Every time I visited, I was welcomed with friendly greetings and updates. OLA never closes the doors of communication between you and your loved one. I always experienced a sense of relief in knowing that when I wasn’t with my mom, someone would always be taking care of her.